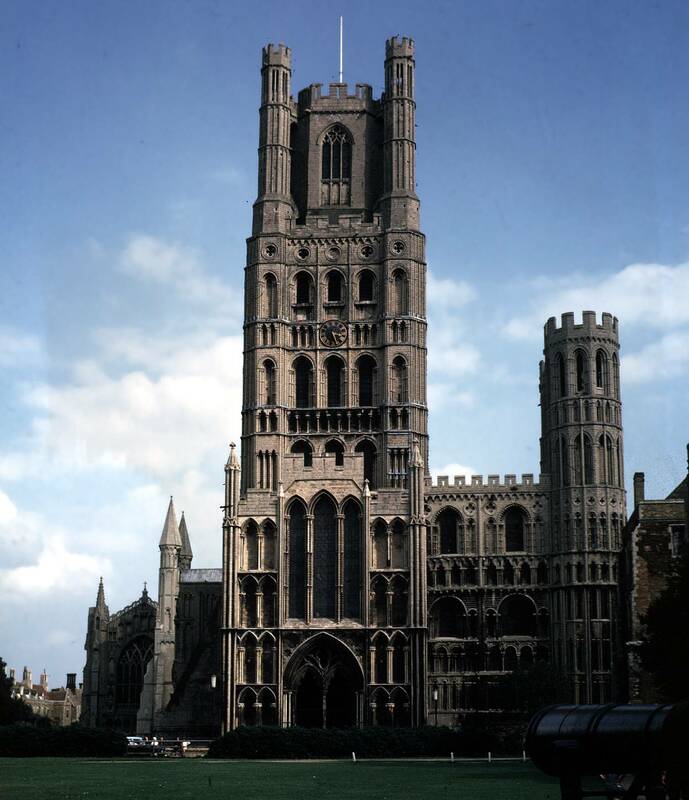 1250-1400 is the period when Gothic architecture dominates although the period is a artificial there needs to be some flexibility. 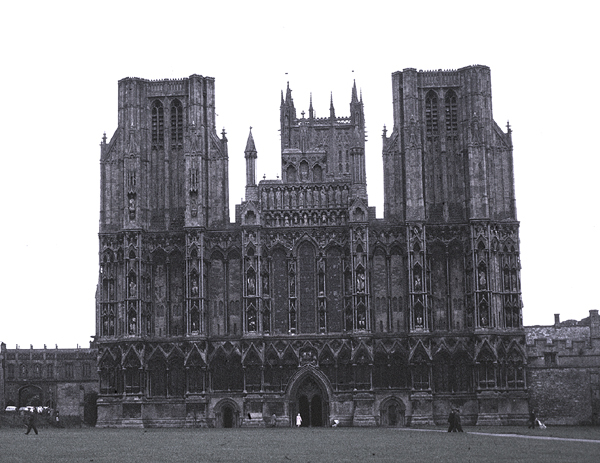 What is Gothic? 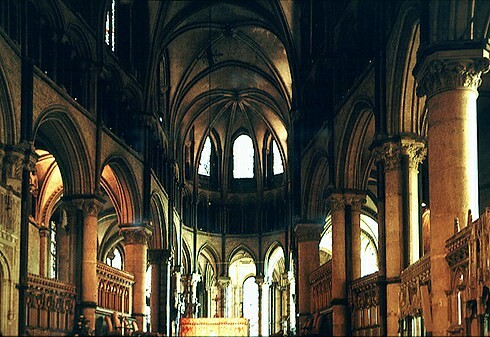 Indicative stylistic signs are pointed arches, ribbed vaults and flying buttresses. 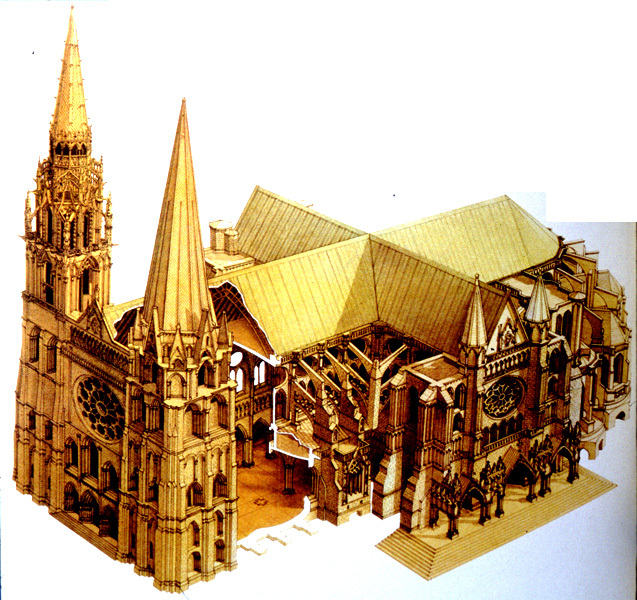 The first building we will look at is St. Denis although some of these features were used before St. Denis. 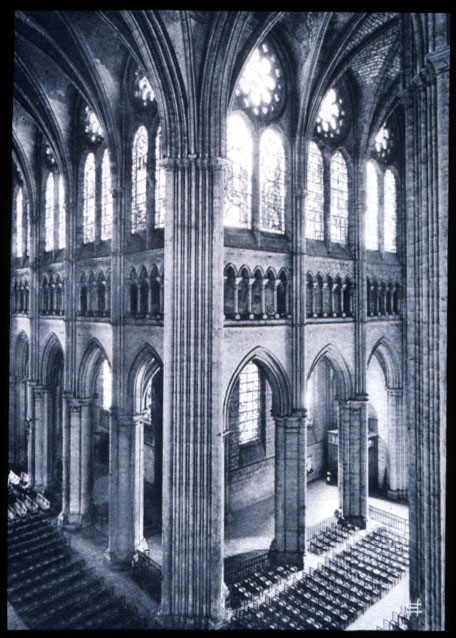 St. Denis was built in two stages — choir and the west end 1130-1144 (the date of the consecration of the choir) by Sugar. (“Sujay”). 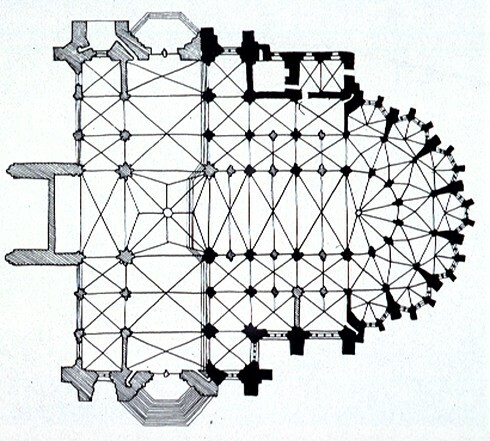 Previously there was a Carolingian structure on the site. 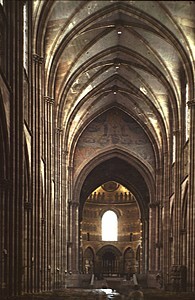 Note that the lower arches are not pointed. 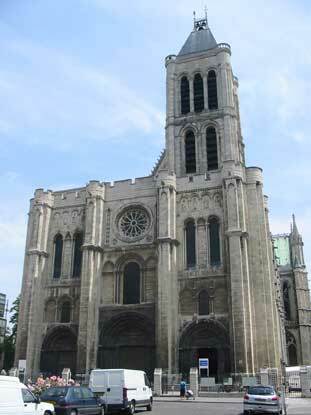 Basilique Saint-Denis originated as a small chapel at the graveyard of Saint Denis in the fifth century. 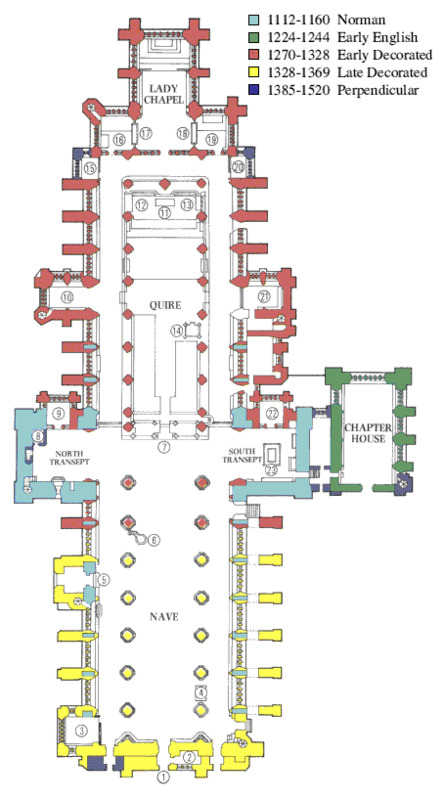 After seven century, the Merovingian era (486-751) of Frankish kingdom, Basilique Saint-Denis became the royal abbey church. 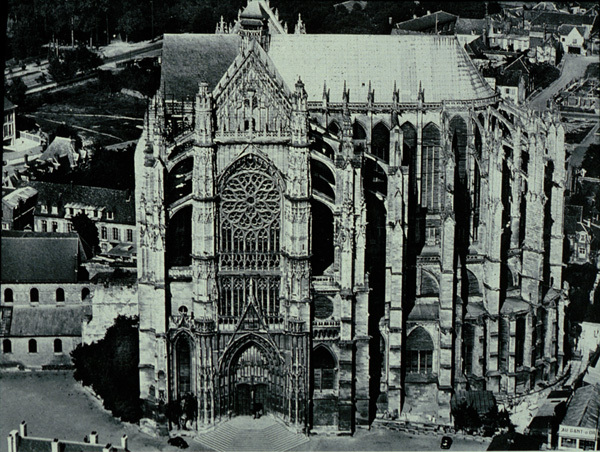 The third Basilique Saint-Denis was rebuilt in 775 of Carolingian era. 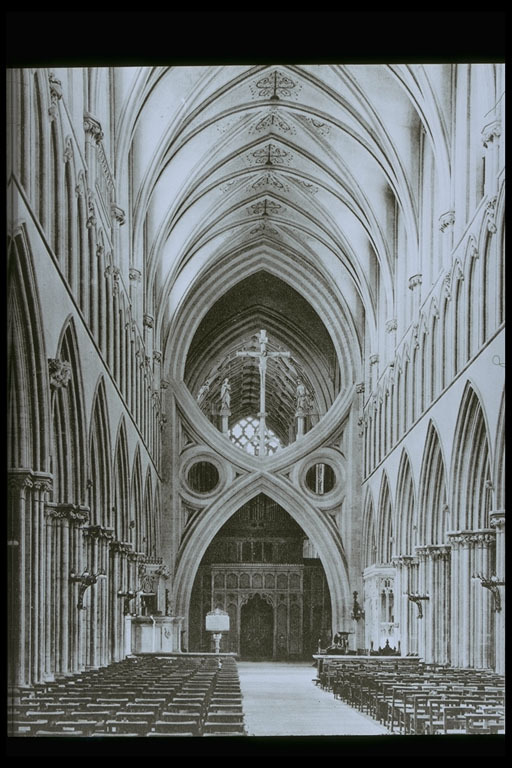 Abbot Suger (1081-1151) began to reconstruct the church in 1137, completed west facade and narthex in the 1140 and completed choir in 1144. 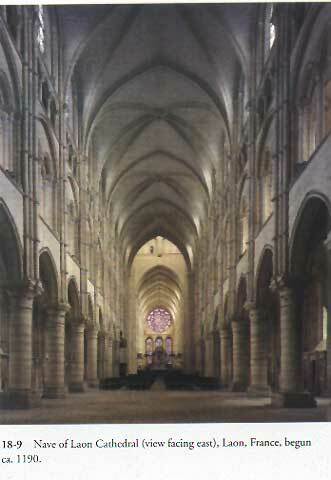 He continued to reconstruct the nave but he died in 1151 before finished it. 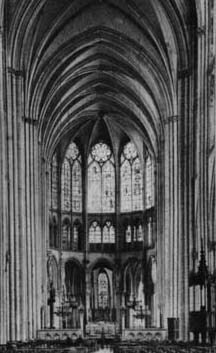 It is said that the nave, including the upper part of the choir and transept, was reconstructed by probably Pierre de Montreuil (about 1200-67) and others (possibly one of those was Jean de Chelles; ?-1270) from 1231 to 1281. 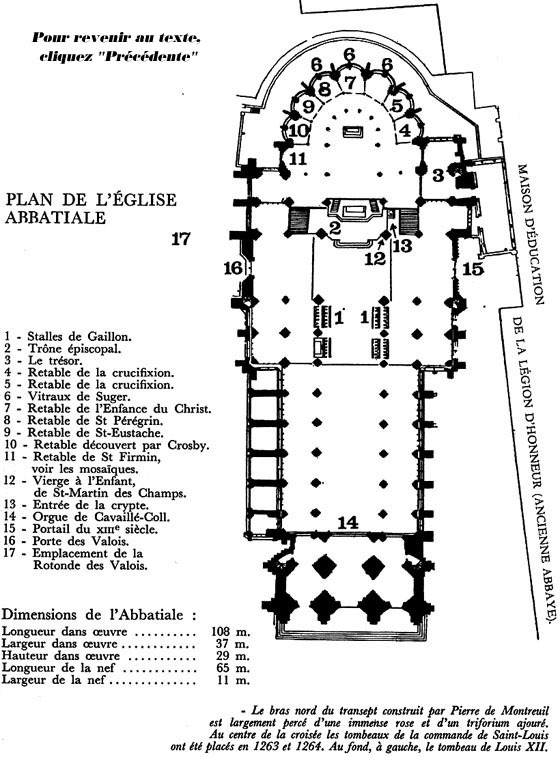 Viollet-le-Duc (Eugene Emmanuel, 1814-79) repaired from 1836 to 1846. 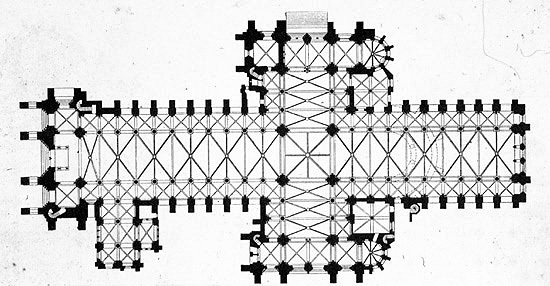 The north tower (before 1129) was removed by Viollet-le-Duc after 1847 because of the differential settlement during the repairing (1836-46). 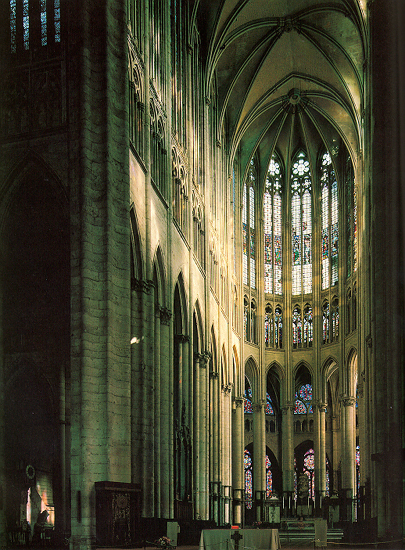 “Gothic art had started with two monasteries and ended two monasteries.” (Henri Focilon) Saint-Denis is one of those and the other is Cathedral Sens (about 1135-68). 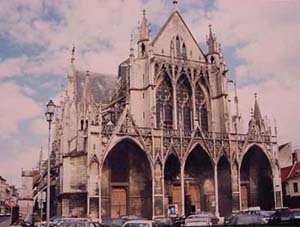 Many original form of the Gothic style is found in Saint-Denis. 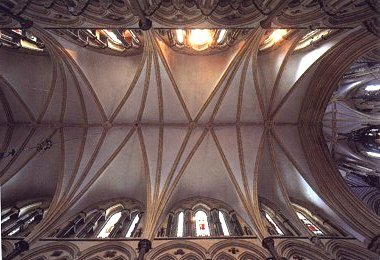 One of the most important things is the structural innovations such as cross rib vault and flying buttresses. 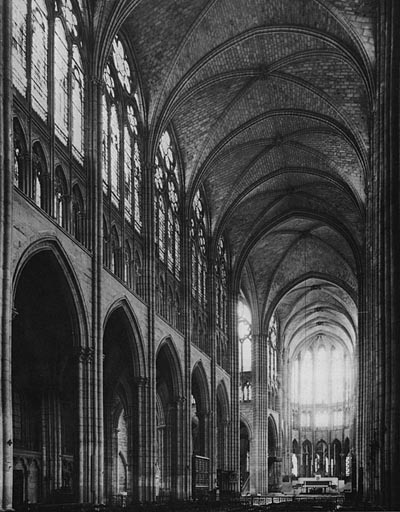 But cross rib vault was found before Saint-Denis nor flying buttresses perfected later. 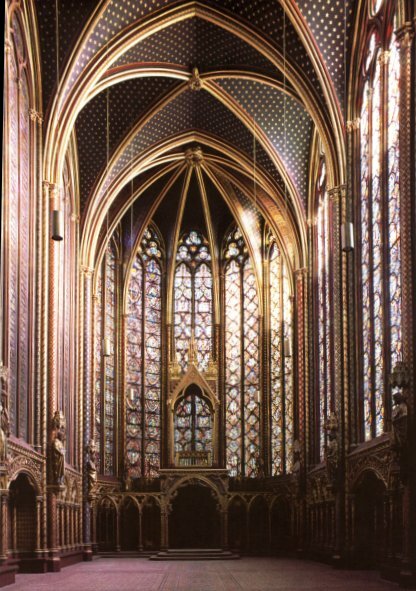 Saint-Denis was a beginning of the luminous choir by Suger, symbol of the glace of God. 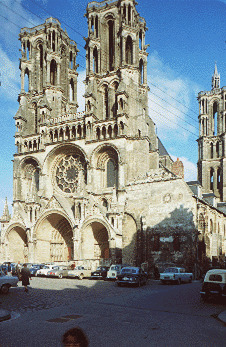 The south tower follows the Romanesque models developed in Normandy. 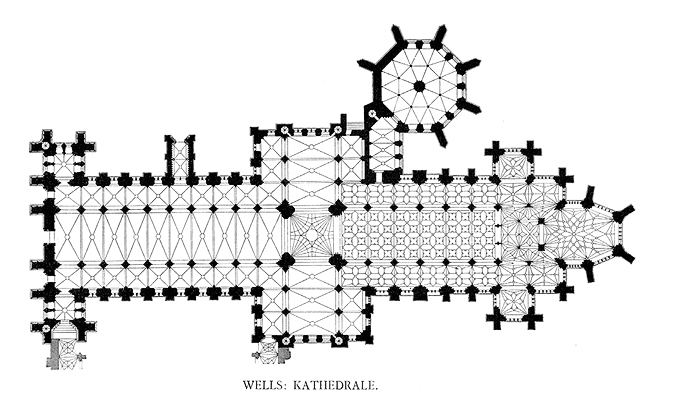 The tower was built in about 1148. 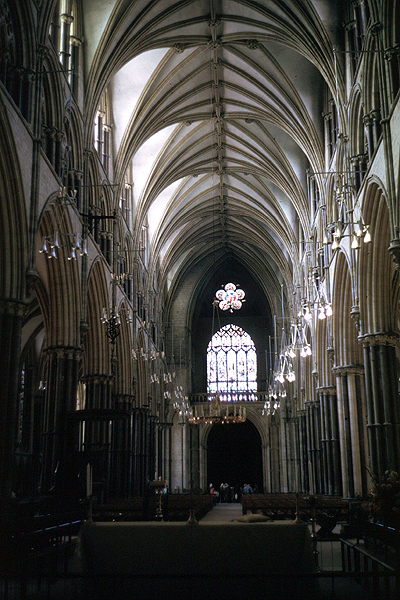 Cross rib vault was found in Anglo-Norman Cathedral during eleventh to twelfth century such as Durham (England) and Winchester (England) and abbey church of Lessay (France). 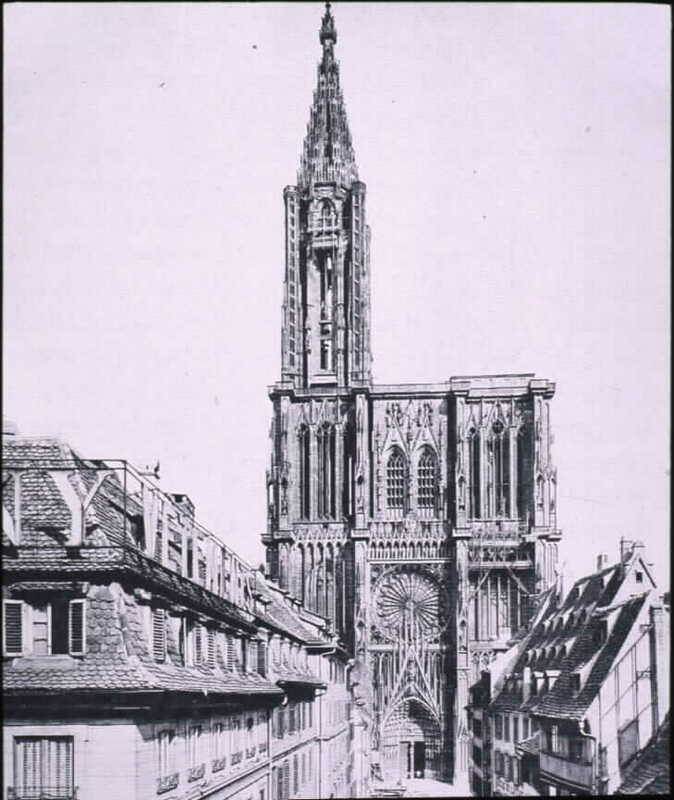 One of the first appearances of flying buttresses was the abbey church of Cluny (about 1130) and the Cathedral of Sens (12c.). See http://www.biffvernon.freeserve.co.uk/eleanor.htm Queen Eleanor’s Crosses When Eleanor, the Infante de Castile and wife of King Edward, died at Harby in November of 1290, shortly after giving birth to her 17th child, her body was first taken to the nearby St Catherine’s Priory at Lincoln. 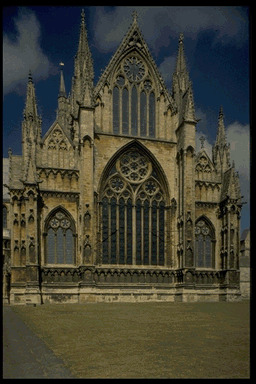 Her viscera were buried at Lincoln Cathedral and her embalmed body taken by road to London for burial at Westminster Abbey. The route was unusually well recorded. 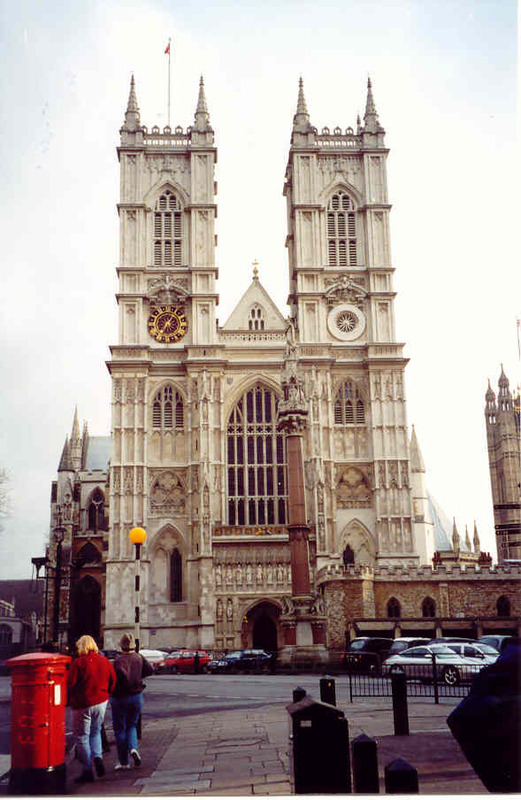 A large stone cross was erected at each of the twelve places that the cortege made an overnight stop. Puritan sentiment of Cromwell’s soldiers in the 1660s saw the destruction of all but three of them, only those at Geddington, Hardingstone and Waltham Cross, still remaining. 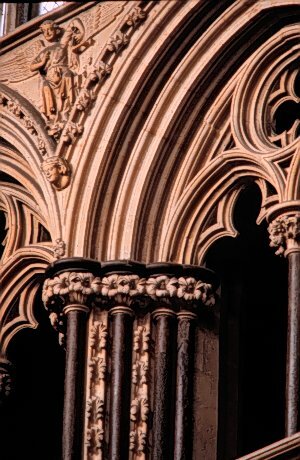 A small piece of the first cross from St. Catherine’s Priory can be seen within the grounds of Lincoln Castle. 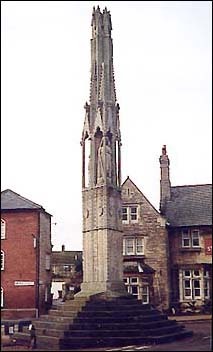 Her final journey took Queen Eleanor’s body down the Great North Road but the crosses once erected at Grantham and at Stamford are lost. Here it seems the pilgrimage took a westerly turn for the next cross stands in Geddington, in Northamptonshire. The next cross, at Hardingstone, also remains but those at Stoney Stratford, Woburn, Dunstable and St. Albans are lost. The Great North Road is regained at Waltham Cross where stands the third remaining cross. 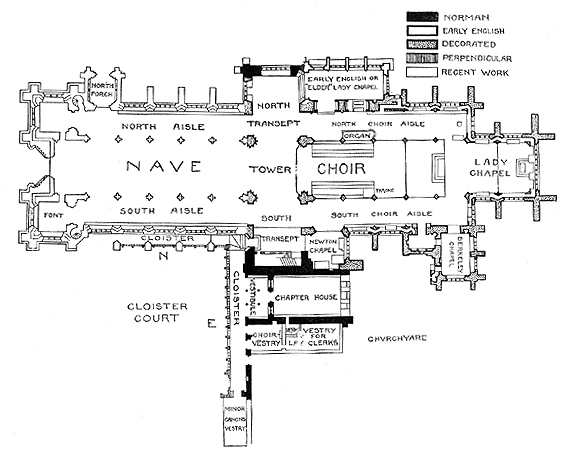 There were other crosses at Cheapside and, made more famous for its railway station, Charing Cross. 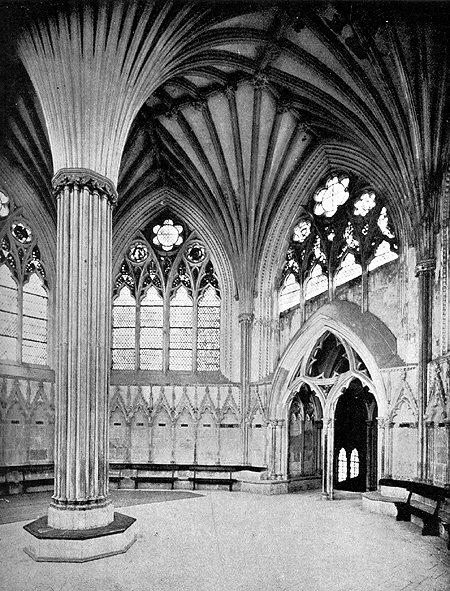 The Presbytery The Presbytery was built in the 13th century to house the shrine of St Etheldreda, founder of the Cathedral. 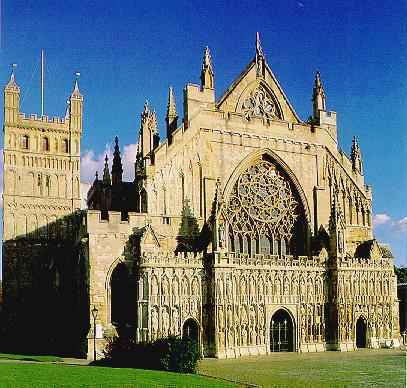 It became a major site of pilgrimage in medieval times. 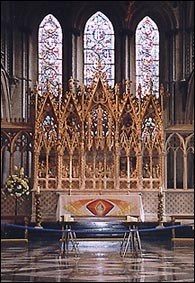 Etheldreda’s Shrine stood in the Presbytery until the dissolution of the Monastery by Henry VIII. 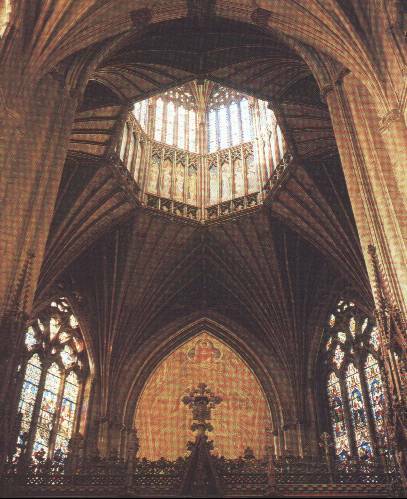 At the order of Bishop Goodrich, Bishop of Ely, the shrine was completely destroyed. A commemorative slab now marks the site. 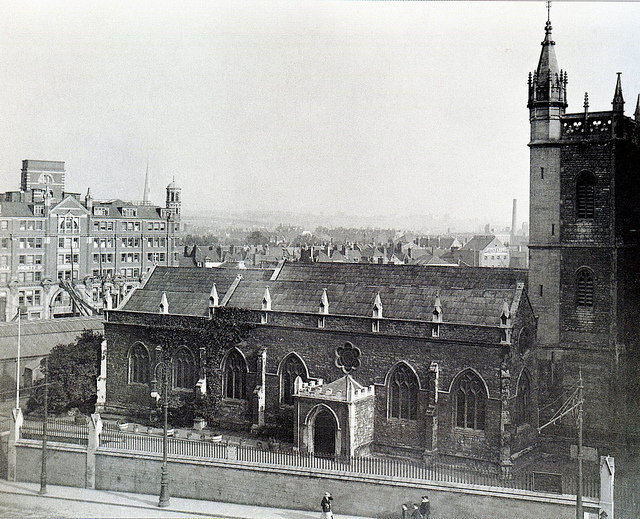 It was laid in 1973 to mark the 1300 anniversary of a church on this site. 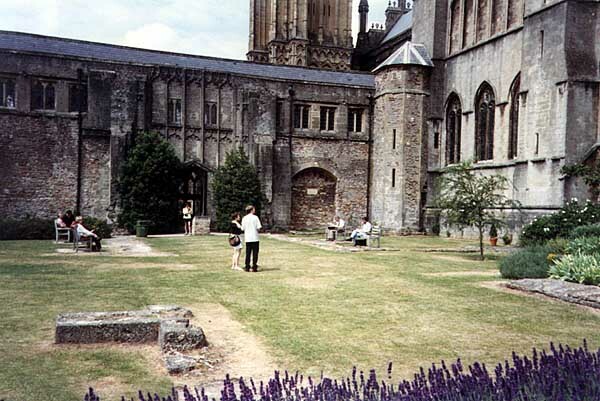 A church has probably stood on this site for over a thousand years. 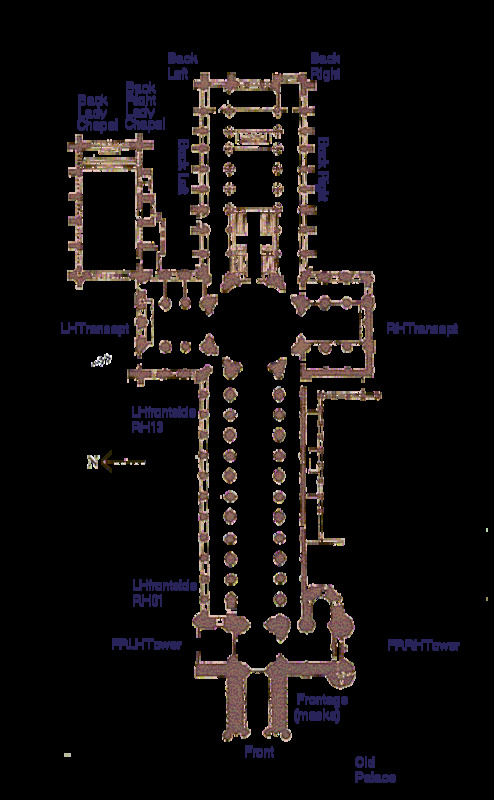 About 1140 Robert Fitzhardinge founded the Abbey of St. Augustine. 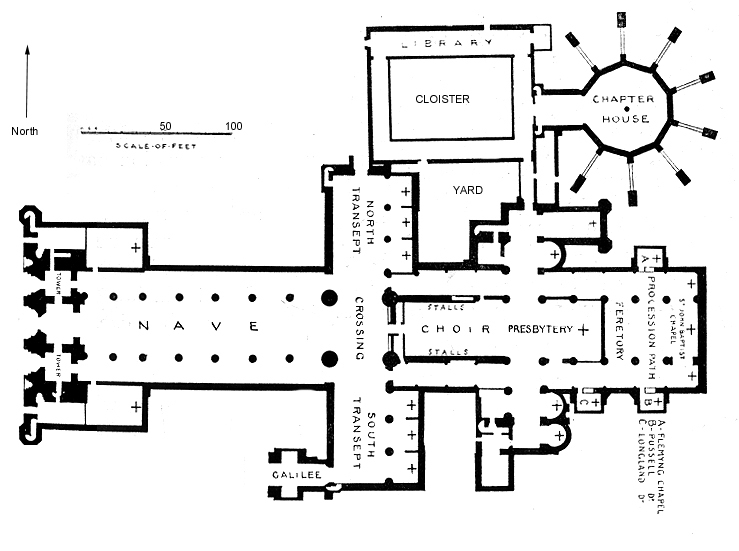 The Chapter House and Abbey Gatehouse remain clearly to be seen: the rest is mostly occupied by Bristol Cathedral School. 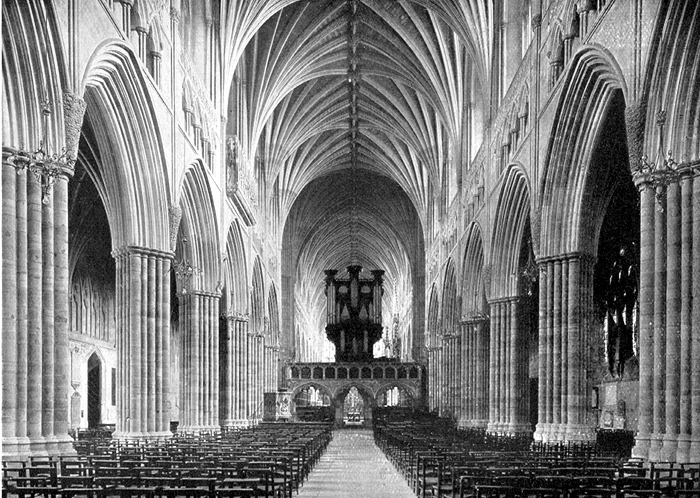 The eastern end of the Cathedral, especially the Choir, gives Bristol Cathedral a unique place in the development of British and European architecture. 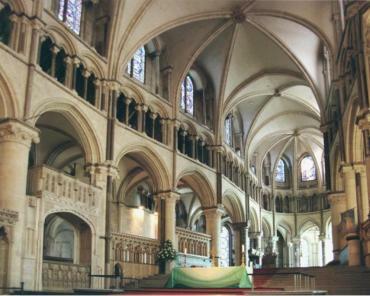 The Nave, Choir and Aisles are all of the same height, making a large hall. 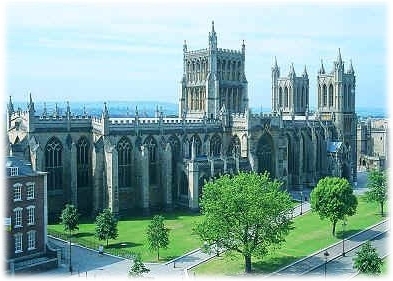 Bristol Cathedral is the major example of a ‘hall church’ in Great Britain and one of the finest anywhere in the world. 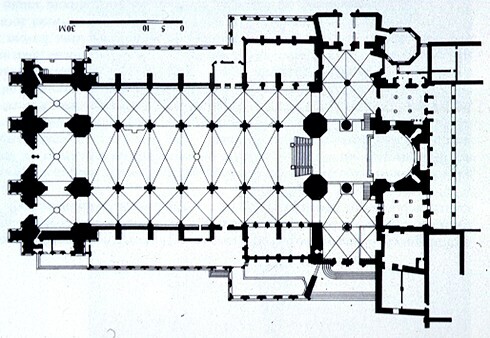 In 1539 the Abbey was closed and the incomplete nave was demolished. 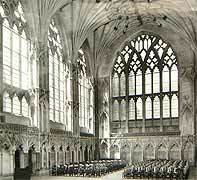 The building was turned into the Cathedral Church of the Holy and Undivided Trinity in 1542. 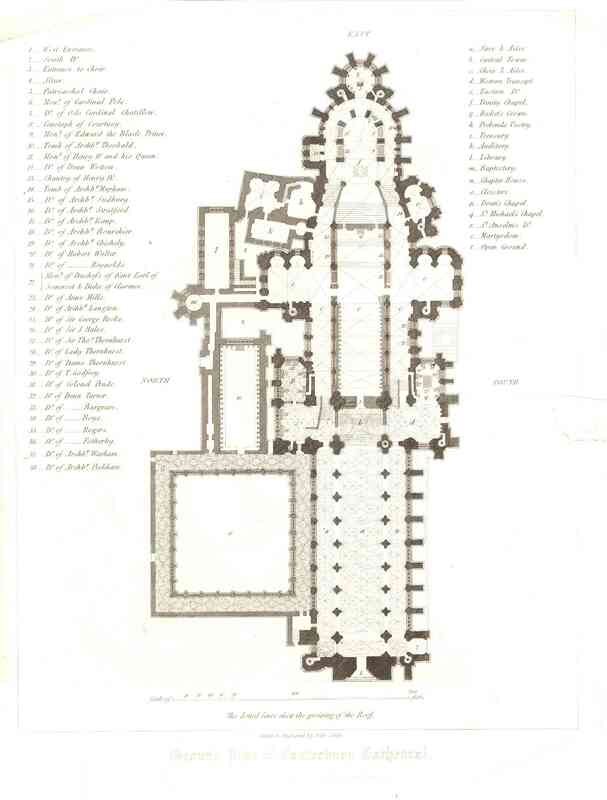 In 1868 plans were drawn up to complete the Nave to its medieval design. 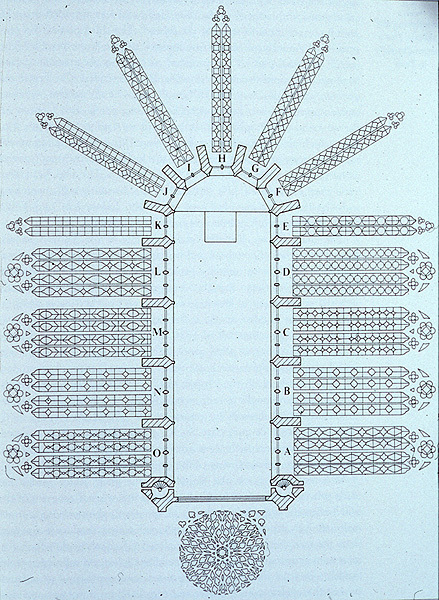 The architect, G.E. Street, found the original pillar bases, so that the Cathedral is much as it would have been when it was still the abbey church. J.L. 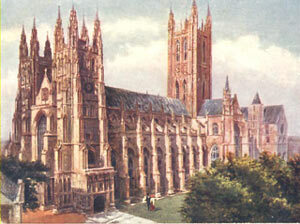 Pearson added the two towers at the West End and further reordered the interior.